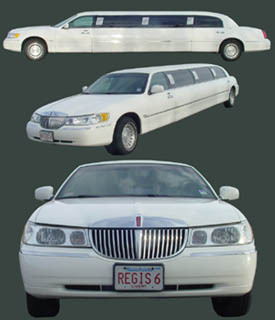 *Receive 10% OFF Limousine Rental for Proms & Weddings w/Tuxedo Rentals. Grooms Tux is FREE w/ 4 other rentals. Why pay more to arrive in style? 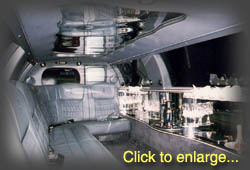 Experience for yourself what others have come to appreciate: there is no other limousine company... More Than Mere Luxury! We have been in business for over 33 years and provide unparalleled quality. Our experience allows us to anticipate your every need, and we attend to the smallest details to make your occasion even more special. Contacting us is made easier with our 24 hour answering service. We provide an elegant, dependable and safe way to travel at affordable prices. Our goal is to provide you with a lasting memory of our extraordinary services- we want you to remember our services as well as the limousine ride! Perfect for your Honeymoon Getaway! Balance of all contracts must be paid prior to departure. Chauffeur's gratuity/tip of 18 to 20% is not included.